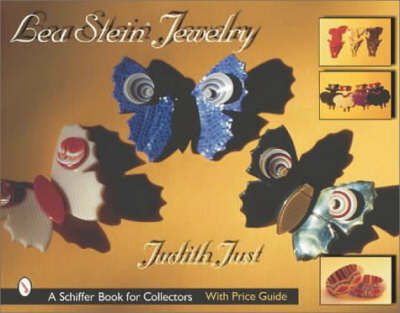 In the world of costume jewelry, the name Lea Stein Paris ® is recognized as the most notable and innovative designer of plastic jewelry of the 20th century. Her use of sculptured laminated celluloid in many novel combinations of textures, colors, and designs resulted in her whimsical and colorful world of original animals, people, and geometric delights. Here you will find bracelets, pins, necklaces, combs, picture frames, boxes, buttons, and accessories in many shapes that amuse and fascinate. Foxes poised to secure their prey and running children are some of her best known designs. Beautiful color pictures and captions identify the pieces, dates, and value ranges. This book is a lasting reference for fans and collectors.